LANSING, Mich. — The Michigan Senate on Wednesday approved Sen. Dale Zorn’s legislation to continue funding to help low-income residents reduce their home heating costs. Senate Bill 647 would extend the lapsed sunset for weatherization assistance from the Low Income Home Energy Assistance Program (LIHEAP) until fiscal year 2022. The LIHEAP is a federally funded program for heating, cooling and weatherization assistance. 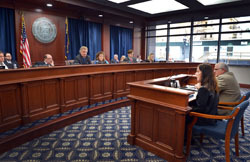 The bill would also require the Michigan Department of Health and Human Services to report to the Legislature by July 1 of each year on the operation and effectiveness of home heating and weatherization programs funded by LIHEAP. 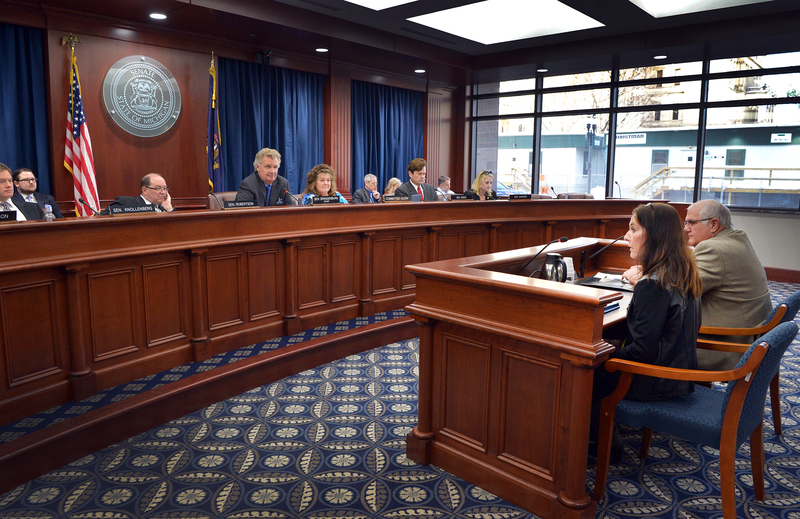 Monroe County Opportunity Program Executive Director Stephanie Zorn-Kasprzak testified before the Senate Finance Committee in support of the bill. 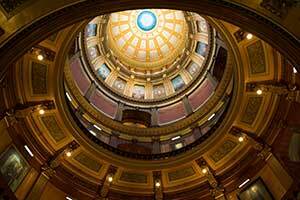 LANSING, Mich. — The Michigan Senate on Wednesday approved bipartisan legislation to modernize many of the state’s laws governing county registers of deeds, said Sen. Dale Zorn, who sponsored three bills in the package. Registers of deeds are tasked with accepting and recording all legal documents and instruments pertaining to the transfer and encumbrance of real property located within each county. State laws provide direction for their actions and responsibilities as well as requirements for individuals looking to record documents. Senate Bills 731-740 would clarify and codify current register of deeds practices and the use of technology when recording documents. The reforms include improving the use of electronic systems in the recording process, providing a uniform method for handling sensitive personal information and ensuring the accurate translation of property documents from across the world. The bills have been sent to the House of Representatives for consideration. LANSING, Mich. — Sen. Dale Zorn on Wednesday voted for legislation to preserve the personal exemption on state and local income taxes and provide additional tax relief for Michigan families. The federal Tax Cuts and Jobs Act streamlined the exemption process and effectively ended the federal personal exemption. Since the state personal exemption is based on the federal return, without a revision to state law, Michigan taxpayers would no longer be able to claim personal exemptions on their state taxes. Senate Bill 748 makes necessary changes to maintain the state personal exemption and also boost the exemption by an additional $600 to $4,900 by 2021. SB 750 would ensure that the Michigan residents can continue claiming the personal exemption on their city income taxes. LANSING, Mich. — Monroe County Opportunity Program Executive Director Stephanie Zorn-Kasprzak joined Sen. Dale Zorn on Tuesday in support of Zorn’s legislation to continue funding to help low-income residents reduce their heating costs. After hearing from Zorn and Zorn-Kasprzak, the Senate Finance Committee approved the bill, which now heads to the full Senate for consideration. LANSING, Mich. — The Michigan Senate on Tuesday approved Sen. Dale Zorn’s legislation to honor Michigan State Police Trooper Calvin Jones, who was killed when his patrol car crashed during a pursuit on Feb. 10, 1956 on M-52 south of Adrian. 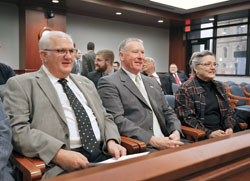 Jones’ daughter, Patricia Rowley, and her husband Claude Rowley recently came up to Lansing in support of the bill during consideration by the Senate Transportation Committee. Lenawee County Commissioner Jim Driskill knew Trooper Jones, who was a close friend of his father, and testified in support of Zorn’s bill. SB 459 now heads to House of Representatives for consideration. The village of Blissfield was recently named a winner of the Michigan Main Street Photo Contest sponsored by the Michigan Economic Development Corporation (MEDC). 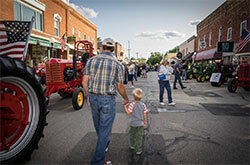 Blissfield was the winner of the Active Downtown category, which focused on photos that display the overall vibrancy and activity occurring within Main Street communities. The village’s Main Street program will receive $1,000 for its winning submission. Our downtowns represent the heart of our communities and a connection to our past. As we work to continue to grow our economy, initiatives like the Michigan Main Street Program work with our local communities to revitalize our downtown areas. The winning photo brilliantly captures small-town life in rural Michigan, where generations of Michiganders have opened small businesses or worked on the family farm to feed America. The picture was taken in August during the village’s annual tractor cruise-in. The event featured a live band while drawing over 90 tractors last year. The Michigan Main Street Photo Contest was created to allow communities to showcase their downtown revitalization efforts and highlight their accomplishments as Main Street communities. The contest ran from Sept. 11 to Dec. 22, 2017 and had five separate segments, each running for three weeks. In addition to Blissfield’s winning segment, Active Downtown, each of the Main Street Four Points — Economic Vitality, Organization, Design and Promotion — were contest segments. Michigan Main Street Program is administered by MEDC and provides technical assistance for communities desiring to develop their own local Main Street program. For more information, visit www.miplace.org/communities/mms. I have introduced legislation designed to combat opioid prescription fraud by requiring prescriptions for the drugs to be transmitted from the doctor to the pharmacy electronically. We must end the illegal supply of these highly addictive drugs if we ever hope to stop the state’s growing opioid abuse problem. Prescription fraud can happen with altered pill counts, forged signatures and completely stolen prescription pads. Requiring the use of electronic prescriptions for these drugs could greatly reduce the access to illegal opioids through fraud, while still providing a safe and efficient way for patients to get needed pain medications. Senate Bill 802 would require prescriptions for controlled substances containing opioids or benzodiazepines be electronically transmitted to a pharmacy by Jan. 1, 2020. To ensure the new requirement is not an unreasonable burden on prescribers, the bill would give the Michigan Department of Health and Human Services the ability to grant a waiver if internet access is an issue. By using this available technology, we can help reduce drug diversion, which comes in many forms and is fueling the opioid crisis. We have seen the terrible impacts of the opioid epidemic in our state and our local communities. It is time for Michigan to join other states with an e-prescribing requirement for controlled substances to help us stop abusers and drug dealers from using fraudulent prescriptions to get these dangerous drugs. Six states have enacted laws requiring some sort of electronic prescription and six other states have legislation pending. LANSING, Mich. — Michigan residents who are getting ready to file their taxes and want current information can call Sen. Dale Zorn’s office for a free copy of the Michigan Taxpayer’s Guide 2018 or download the guide from the senator’s website. The guide, which is a reference for the 2017 tax year, is designed to help residents prepare their state tax returns. The federal Tax Cuts and Jobs Act went into effect on Jan. 1, 2018 and does not affect individual income taxes for 2017. The booklet includes a year-long listing of important property tax dates and deadlines as well as copies of the most commonly used tax forms. It also features addresses, phone numbers and email information for obtaining state agency tax assistance. Zorn said that the guide is meant as a helpful resource and not as a substitute for Michigan Department of Treasury tax instruction booklets. Free copies of the Michigan Taxpayer’s Guide 2018 may be downloaded by visiting www.SenatorDaleZorn.com/Publications. Residents may also call Zorn’s office at (517) 373-3543 to request a printed copy. “The governor laid out a balanced budget plan that continues our efforts to educate our children, attract investment and jobs to Michigan, provide essential services and make smart investments in our future. “I was encouraged to hear about his priorities to make significant increases in funding for K-12 schools and career and technical education and to fix our roads and bridges. “As a small business owner, I know that wise investments in these areas will benefit the entire state as we better prepare our children for success and more effectively compete for new jobs and investment. 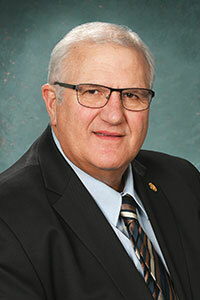 LANSING, Mich. — Sen. Dale Zorn has announced that he will conduct district coffee hours in Ida and Morenci this month. The first coffee hour will be held on Friday, Feb. 9 from 8 to 9 a.m. at Old 23 Grill, located at 3168 Lewis Ave. in Ida. The second coffee hour will be held on Monday, Feb. 26 from 8 to 9 a.m. at the Village Inn Restaurant, 121 W. Main St., in Morenci. To respect other patrons of the restaurants, no town-hall style discussions will be entertained. No appointment is necessary. Residents who are unable to attend the coffee hours may contact Zorn’s office at (517) 373-3543 or via e-mail at SenDZorn@senate.michigan.gov.